A legendary Japanese sound artist Akio Suzuki has been performing, building instruments, and presenting sound installations for nearly 40 years. Suzuki's journey as an artist began in 1963 with a performance at Nagoya station, in which he threw a bucket full of junk down a staircase. 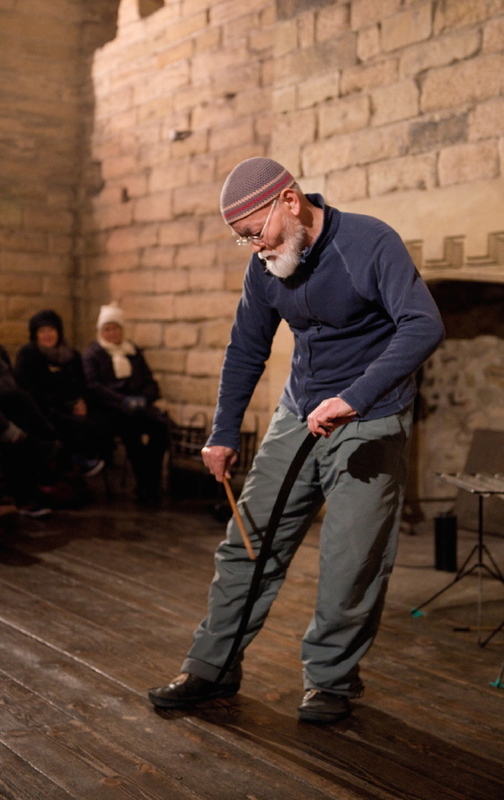 Suzuki's performances and installations have been presented by numerous festivals and museum in several continents such as AV Festival (Newcastle, 2014), The National Museum of Modern Art (Kyoto, 2007), Musee Zadkin (Paris, 2004), British Museum (London, 2002), Donaueschingen Festival (Donaueschingen, 1998), Docmenta8 (Kassel, 1987), Japan House (New York, 1983), Festival d' Automne (Paris, 1978), and many others.